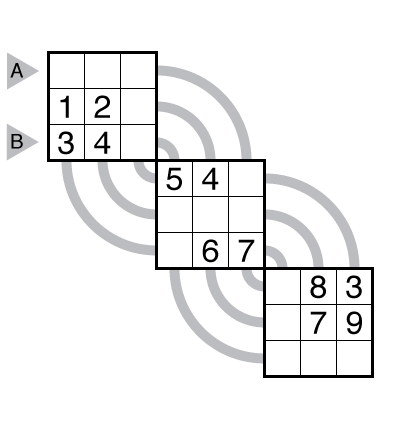 Answer String: Enter the “row” marked A, followed by a comma, followed by the “row” marked B. There is no Doctor’s Note this week. Seventh in a series with puzzle solving tips. 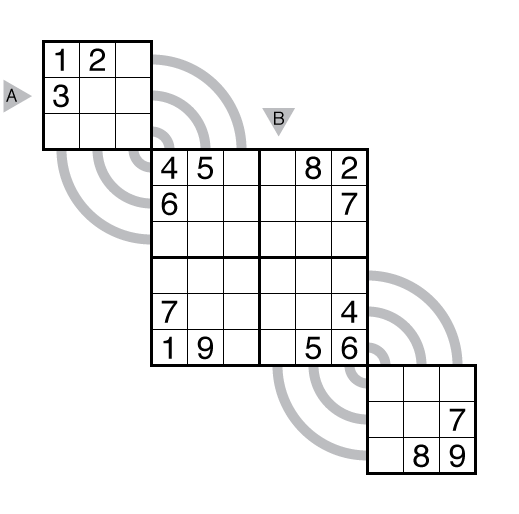 This time with advice on exploring unusual puzzle geometries such as the Saturday Sudo-Kurve. 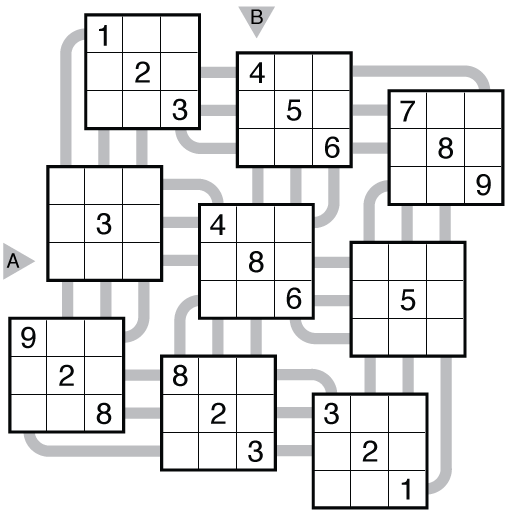 When you’ve solved enough 3d Sudoku or Sudo-Kurve puzzles or other unique geometries (as in Sudoku Masterpieces), you’ve probably recognized there are sometimes cells or sets of cells that are much more constrained than others in the construction. This Sudo-Kurve grid, which I used in Sudoku Cup 3 and only one other time since, has some secrets to observe before getting too deep into any puzzle. Theme: Totally Twisted: a challenging grid shape. 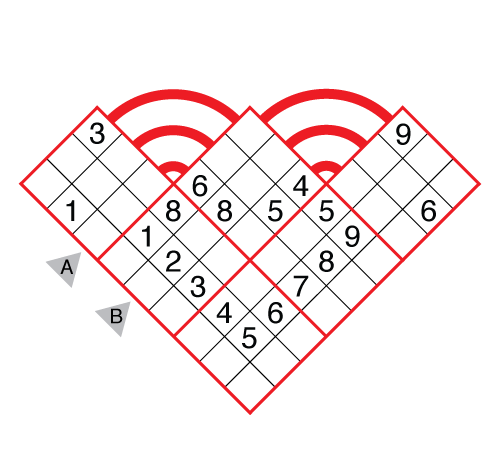 Theme: Happy Valentine’s Day – a heart of given numbers inside a heart-shaped grid. Theme: A simple start: a Sudo-Kurve with just three regions.